WEST LAFAYETTE, Ind. — Purdue University’s Nobel laureate Ei-ichi Negishi turns 80 on Tuesday (July 14). 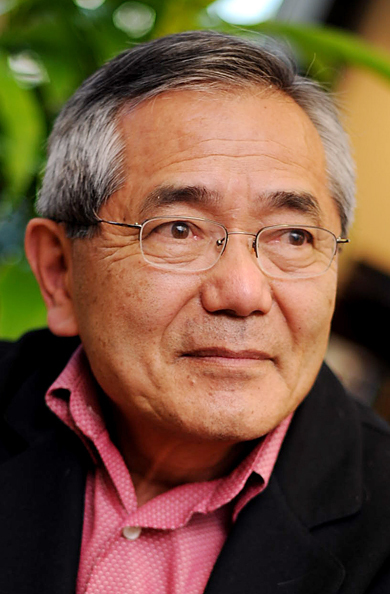 Negishi, the Herbert C. Brown Distinguished Professor Chemistry, won the 2010 Nobel Prize in chemistry for his palladium-catalyzed cross coupling to link carbon atoms and synthesize molecules. In addition to its use in the development of the painkiller naproxen and the cancer treatment taxol, it is estimated that "Negishi coupling" and its variants is used in more than one-quarter of all chemical reactions in the pharmaceutical industry. The technique also has been used in fluorescent marking essential for DNA sequencing and in the creation of materials for thin LED displays. The Department of Chemistry is celebrating his birthday with special technical lectures by former students and friends during the annual Negishi-Brown Lectures, which will be held Monday and Tuesday (July 13-14). Negishi was born July 14, 1935 and grew up in Japan. He received a bachelor's degree in organic chemistry from the University of Tokyo in 1958 and moved to the United States in 1960 to attend graduate school at the University of Pennsylvania as a Fulbright-Smith-Mundt scholar, earning a doctorate in organic chemistry in 1963. Negishi came to Purdue in 1966 as a postdoctoral researcher under Herbert C. Brown, who won the Nobel Prize in 1979. Negishi went to Syracuse University in 1972, where he was an assistant professor and then an associate professor before returning to Purdue in 1979. He was appointed the H.C. Brown Distinguished Professor of Chemistry in 1999 and has won various awards, including a Guggenheim Fellowship, the A.R. Day Award, a 1996 Chemical Society of Japan Award, the 1998 American Chemical Society Organometallic Chemistry Award, a 1998 Humboldt Senior Researcher Award and the 2010 American Chemical Society Award for Creative Work in Synthetic Organic Chemistry. He was named a fellow of the National Academy of Sciences in 2014. He also was given the 2010 Order of Culture, Japan's highest distinction, and named as a Person of Cultural Merit. Negishi has authored more than 400 publications including two books, one of which is the Handbook of Organopalladium Chemistry for Organic Synthesis. Collectively, these publications have been cited more than 20,000 times. Note to Journalists: A private banquet to celebrate Negishi’s birthday will be held at 6:30 p.m. Monday (July 13) at the Lafayette Country Club. The media is invited to attend, but the event is closed to the public. Interviews may also be arranged during the Negishi-Brown lecture series. Please contact Elizabeth Gardner at ekgardner@purdue.edu or 765-494-2081 to make arrangements.